A transitional phrase is essentially a word or phrase used to show the relationship between two clauses or paragraphs. Transitional phrases (also called conjunctive adverbs) usually come at the beginning of a sentence and are separated from the rest of the sentence with a comma. Common examples of transitional phrases are: however, therefore, consequently, furthermore, moreover, even as etc. The train was an hour late. In spite of this, I managed to get to the meeting in time. Here the phrase ‘in spite of this’ acts as a transitional adverb. As you can see, it does not connect the two clauses. It merely shows how ideas are connected. We usually use a full stop before a transitional phrase. 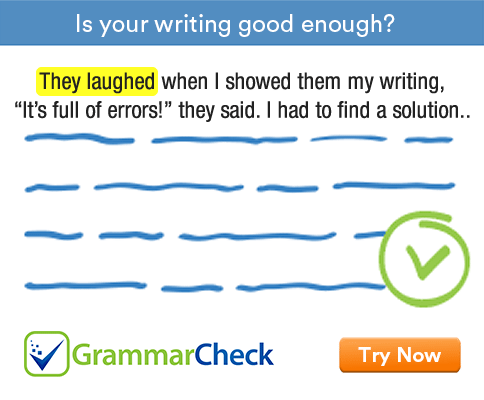 Sometimes writers use semi-colons instead of full stops. An advantage of using this method is that it makes the transition between the sentences even more seamless. She had little chance of success. Nevertheless, she decided to enter the competition. OR She had little chance of success; nevertheless, she decided to enter the competition. I cannot attend your wedding. However, my blessings are always with you. OR I cannot attend your wedding; however, my blessings are always with you. Note that you cannot use a comma to separate the two sentences. This is a common punctuation mistake.